Where Is Your PSAT Program? As I’m sure you can imagine, we're asked this question quite a bit. You also might be aware that there are companies in the test prep industry that are happy to repackage their SAT courses and sell them to customers as add-ons labeled as "PSAT Courses" or "Pre-ACT Courses." We decided many years ago that we were not going to take that approach; rather, we would seek to deliver as much value as we could to our customers, even if it would mean "losing out" on charging them for additional services that they wouldn't genuinely need. Maybe we’re just iconoclasts in that way, but it doesn’t come without its perils. In our quest to avoid creating mountains out of molehills, we may have miscalculated the battles that our counselor, teacher, and school administrator clients have to endure with students and parents. Parents and students are bombarded with messaging about college entrance exams. The information exchanged is susceptible to the pitfalls of the old game of Telephone, the aftermath of which often lands at the feet of our clients to sort through and clean up. So we’ll make this as clear as we can. Hopefully, this illustration helps. I’m sure you can tell the point we’re trying to make here is that using the SAT program prepares students for the PSAT, full stop. The PSAT Reading section is 5 questions and 5 minutes shorter than its SAT counterpart. The PSAT Math No Calculator section is 3 questions shorter than the SAT Math No Calculator section (though both are timed the same way). The PSAT Math Calculator section is shorter than the SAT Math Calculator section by 7 questions and 10 minutes. The PSAT has no essay section. It reveals current areas of strengths and weaknesses, enabling students to plan how to bolster abilities and attack topics needing improvement. Students will get valuable feedback when they receive their PSAT results. By using these results to isolate areas needing improvement, you can make your prep time much more efficient. 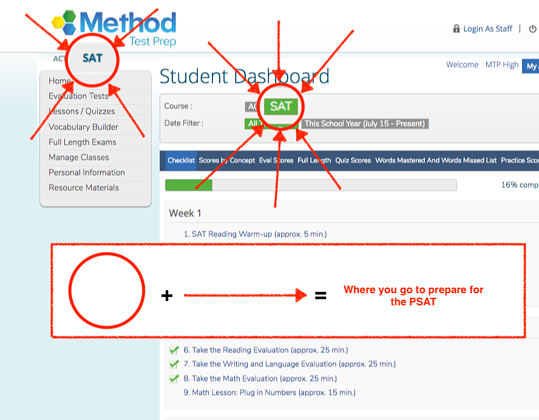 The concepts tested on the PSAT are tested exactly the same way on the real SAT. The only differences of note are on the math side, where the PSAT avoids some of the hardest quadratic equations, trigonometry (which is rarely even on the SAT), and polynomial questions. It gives high-achieving students the chance to qualify for recognition from the National Merit Scholarship Program. Many schools that work with us like to use the number of National Merit commendations as a yardstick for their students' college readiness. Whether achieving National Merit commendation, semi-finalist status, or finalist status should be a priority for students would be a great topic for another blog post, but the truth is that these levels of recognition do denote that students are in the higher percentiles of test takers. If you have questions about whether our SAT program is effective at helping PSAT takers reach these levels, just ask Rankin County Public Schools, where College & Career Readiness Preparatory Coordinator Montgomery Hinton reports that the school has seen a 150% increase in the number of National Merit semifinalists since it started deploying Method Test Prep in the district. We do not want to see students become overly concerned with the PSAT (or with the Pre-ACT, for that matter). Their goal should be to obtain a solid understanding of the material and to familiarize themselves with the types of questions they will be asked–––this way, they will avoid breakdowns or surprises. Students will certainly benefit from a little preparation, which will help them concentrate on the task at hand and get a more accurate snapshot of their skills. But let's not overthink this. We believe a healthy approach is to understand that in 9th and 10th grade, student focus should be on building math and English skills, and not just on doing well on the PSAT or Pre-ACT. When it does come time to do some preparation, we have them covered. Our online SAT and ACT programs, as well as our online power classes, have proven over the last 15 years to be fully appropriate and effective in helping students build those skills. If the timelines presented by the College Board and the ACT do not fit your school or students needs for the PSAT or Pre-ACT, please ask us about our incredibly affordable paper-based test scoring service. 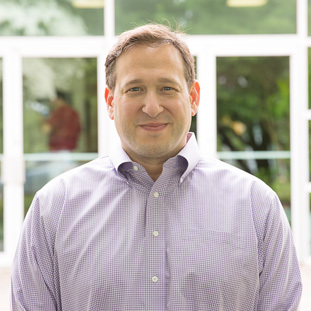 Bryan is the product manager and VP of operations at Method Test Prep. He plays a major role at Method by overseeing all support as well as designing and developing Method’s online platform. Bryan graduated with a BA in Political Science from the University of Michigan.